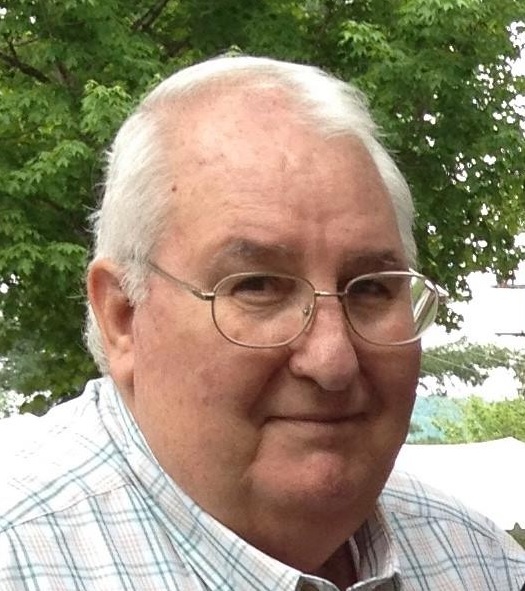 A visitation for James Joseph Honeycutt, Jr. will be held at Liberty Baptist Church in Mooresville on Thursday, April 11, 2019 at 11:00 AM followed by a celebration of life at 12:00 Noon. James was born on July 23, 1944, in Cabarrus County to James Sr. and Johnsie Honeycutt. He joined the Air Force in June 1962 after graduating high school. In the Air Force, he traveled extensively in Germany, India, and around the U.S. He met the love of his life, Linda, while serving on George Air Force Base in California. They married and moved to Huntersville in 1968 and later adopted their daughter, Susan, in 1970. He served as Sunday School Superintendent, a Sunday school teacher, a Deacon, and a choir member in several of the churches he attended. He worked for Duke Power in Charlotte for 20 years. James is preceded in death by his parents, James Sr. and Johnsie Honeycutt, and his sister, Daisy Griffin. He is survived by his sister, Peggy Jean Reborn, of Huntersville; his wife, Linda; his daughter, Susan Isaac; his grandson, Trey Isaac; all of Mooresville; and his granddaughter, Gabrielle Allison (Jonathan), of Fayetteville; as well as multiple nieces and nephews. He will be remembered as a man of God who took care of and loved his family fiercely. A military burial will follow the service at 2 p.m. at the VA National Cemetery Memorial Wall in Salisbury. In lieu of flowers the family has asked for memorial donations to be made to Liberty Lane Hospice, 1601 Brenner Ave., Salisbury, NC 28144. Lyerly Funeral Home is serving the Honeycutt family. Online condolences may be made at www.lyerlyfuneralhome.com.